Bordeaux’s Saint-Julien appellation delivers some of the region’s most balanced wines, neatly combining the gracefulness of the best from Margaux with the power of the top wines from Pauillac. 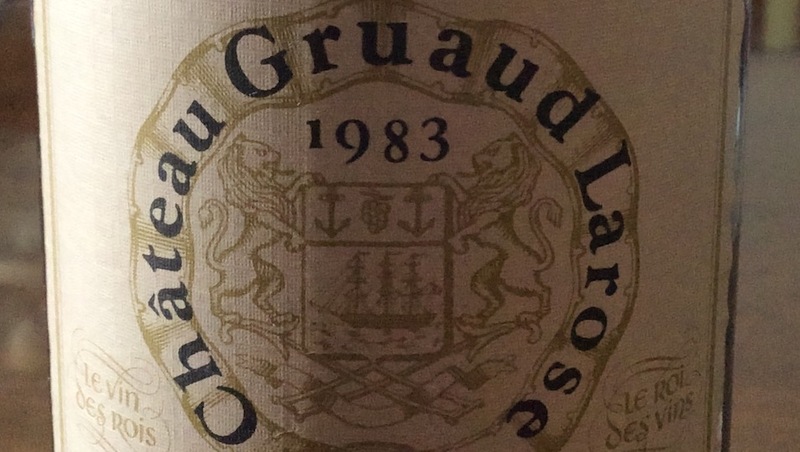 Château Gruaud-Larose is an esteemed and always reliable deuxième cru classé that is fairly priced by Bordeaux’s standards and that rarely disappoints, although some bottles from the 1980s were marred by tough tannins and gamey, funky or down right barnyardy aromas. The château was founded in 1757 by Monsieur Gruaud, who combined the three properties of Tenac, Sartaignac and Dumarle to form Gruaud (or Gruau, as it was occasionally written back then). The name changed to Gruaud Larose when in 1778 the estate became the property of Joseph-Sébastien, Monsieur de Larose and Lieutenant-General of the Sénéchaussée of Guyenne (and at the time also owner of Château Larose-Trintaudon).